If you would like to play golf Medway has some options for you whether you are experienced or have never played. LEVEL 1 – I have never played golf or are getting back into it after a long time away from the game. Register interest in the next beginner classes email info@medwaygolf.com.au or see the Maribyrnong Council Spring and Autumn classes on the council website and register interest in the Medway Golf Club programs. In addition to these Come & TRy Clinics by Council, Medway PGA Qualified Coaches run beginner classes for 5 weeks typically to learn the basics of the game. After completing the coaching programs, our Coaches and mentors will move you up to LEVEL 2. 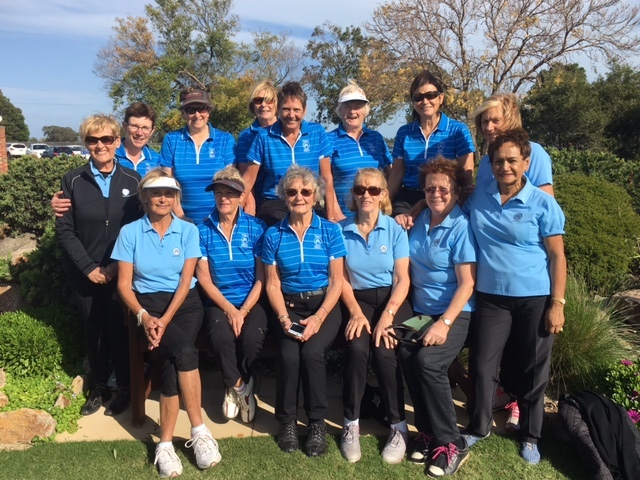 LEVEL 2 – I have played a bit, done some group classes in the past and are ready to try to play on the course with women of similar ability as mine. Every Wednesday at 10am – we run weekly a new social golf experience for women starting out in the game. Golfers will be assisted by Medway members and on occasions golfshop staff. Generally takes between 1- 1 1/2 hour to play 5 holes plus time for a coffee on the deck afterwards. Equipment will be supplied if requested at no charge for a period of time. Simply come along- no bookings required. Neat Casual Dress code. Typical time spent in this program 3- 12 months. You will know when your ready for Level 3 or a mentor/ golf staff will guide you along to Level 3. LEVEL 3 – I have played for some time and are now looking at possible some competition golf or at least to trial a club membership to see if I like it. Course access is Off peak or basically besides Thursday, Saturday and before 12pm Sundays you have access to play. Bookings encouraged. You may play in the 5 for $5 but don’t need to pay the $5. You can gain a golflink handicap and compete in the club competitions if you wish including Tuesday mornings and Friday mornings. Able to play in the competitions of the day but are not eligible for Board or Principal events. No reciprocal rights are available. Access to the clubhouse is on all days. Can play unlimited golf off peak without paying guest fee – such as Monday, Tuesdays, Wednesday and Fridays or after 12pm on Sunday. Only available to non-medway members on application or those who have not been a member of Medway for a period of 5 years. LEVEL 4- I want to play regularly and are comfortable playing competition or at least wish to play regularly with golfers at a club level and make lots of new friends. Traditional Membership offers- see Medway membership page for membership types. Typical time spent in this category- hopefully for the rest of your playing days. We are always here to help. Give us a call to explain things in more detail or register to start in one of the programs. If your on you own- don’t be concerned we will guide you along. 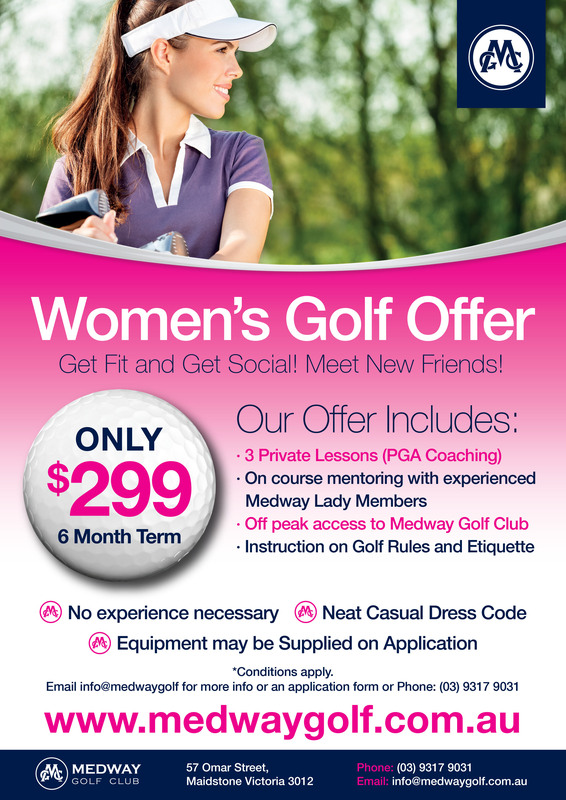 Medway Golf Club is committed to growing women’s golf and providing a pathway for new women golfers. Here at Medway we cater for all types of women golfers at all ages from the experienced to those that have never played. Tee see which programs suit you, please read below and make contact to us at info@medwaygolf.com.au and we can make your transition into golf a comfortable as possible. For girls under 16 see our junior page for clinic information or to join the club with our large group of junior golfers. 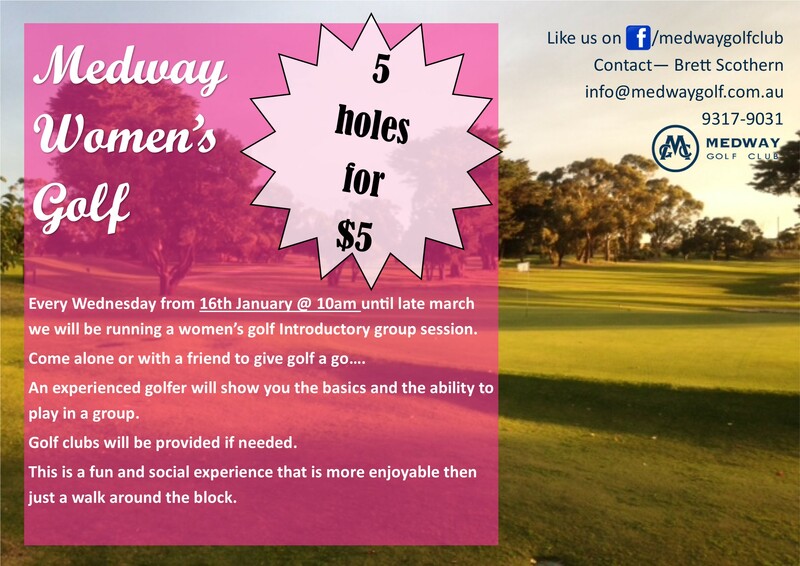 Medway Golf Club has recently agreed to partner with Golf Australia to Pilot a Gender Equality program. Information below. Build and deliver a pilot program comprised of a four-part workshop series that enhances the capacity of golf clubs and their leaders to bring about greater gender equality for their membership. Support golf clubs to develop and implement an action plan to address gender inequality in their clubs. Evaluate and report learnings from the pilot program both internally and to external stakeholders. Use learnings to build a nationwide gender equality club development program for Australian golf clubs. Golf Australia, in conjunction with the Office for Women in Sport and Recreation, will pilot a workshop series designed to support community golf clubs address gender inequality. The program forms part of Golf Australia’s delivery of the ‘Vision 2025: the future of women and girls in golf’ strategy.